The constellation of Cassiopeia, named after a vain queen in Greek mythology, forms the easily recognisable “W” shape in the night sky. 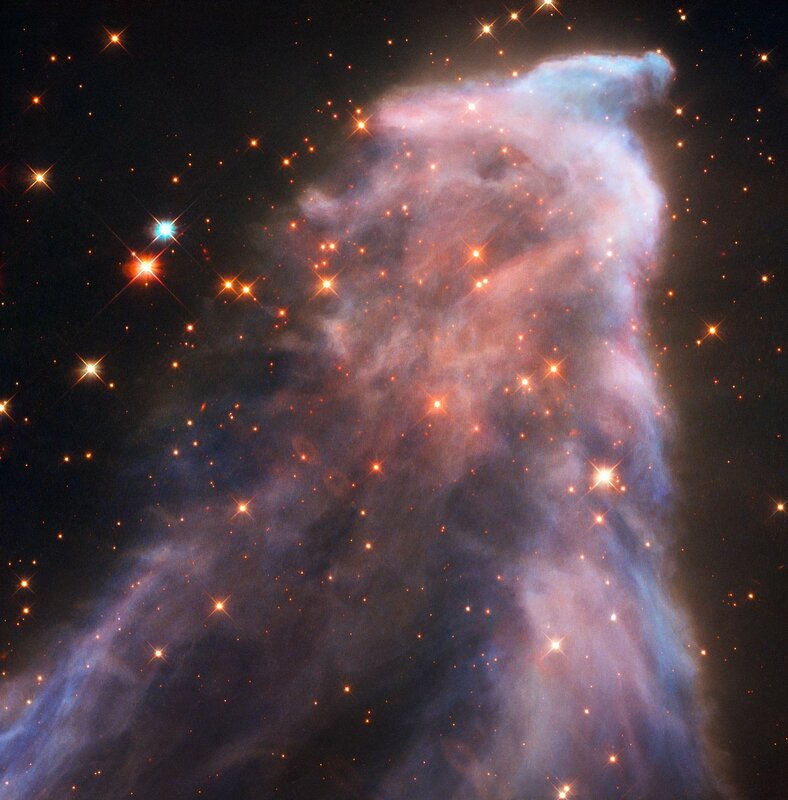 The central point of the W is marked by a dramatic star named Gamma Cassiopeiae. The remarkable Gamma Cassiopeiae is a blue-white subgiant variable star that is surrounded by a gaseous disc. This star is 19 times more massive and 65 000 times brighter than our Sun. It also rotates at the incredible speed of 1.6 million kilometres per hour — more than 200 times faster than our parent star. This frenzied rotation gives it a squashed appearance. The fast rotation causes eruptions of mass from the star into a surrounding disk. This mass loss is related to the observed brightness variations.